I’m back with my monthly update to reflect on our numbers and challenges in September. What a month it was at Recart! 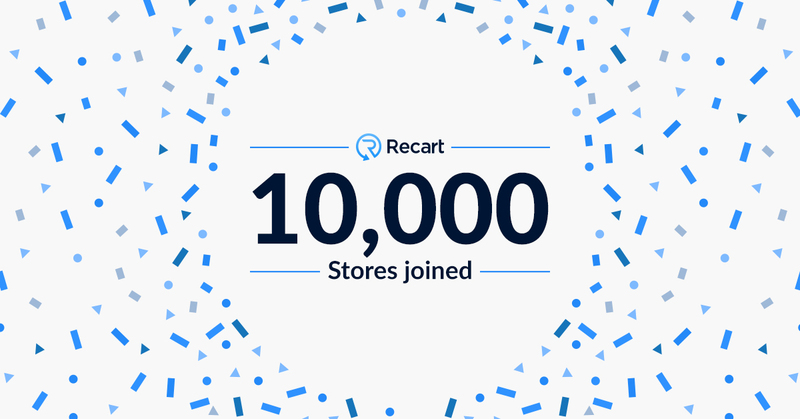 Firstly, let me congratulate the Recart team reaching $55,000 MRR and 10,000 installs! That’s a huge progress in our journey to become one of the most prominent ecommerce startups in the world. Done. 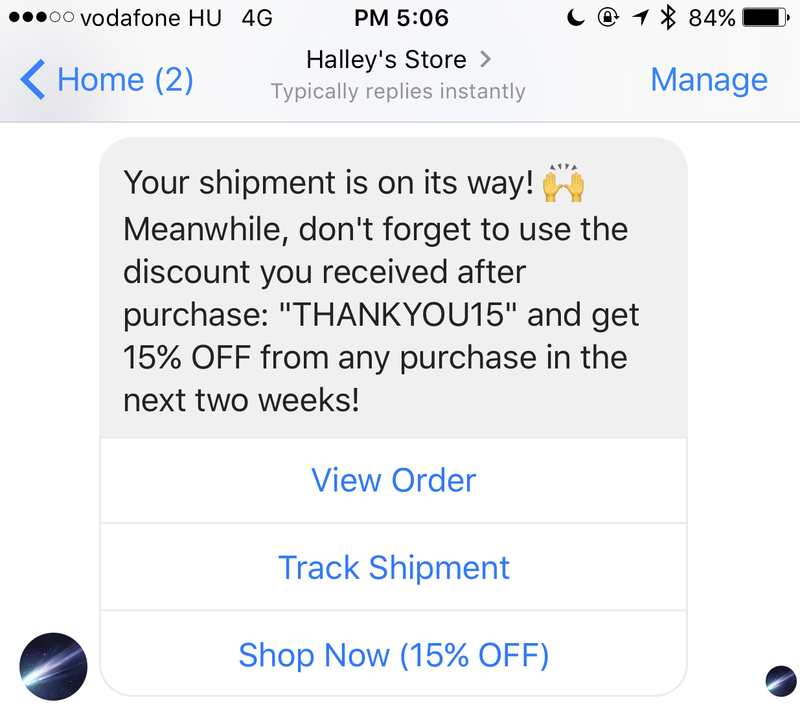 Our Instant Campaign feature is out, so merchants now can send news and updates to their Messenger subscribers’ inbox! Done. We applied a $29 base plan, so the $$$ flows in much faster. It arrives to our bank account in 30 days after the charge. Done. We released our Fulfillment Notification. 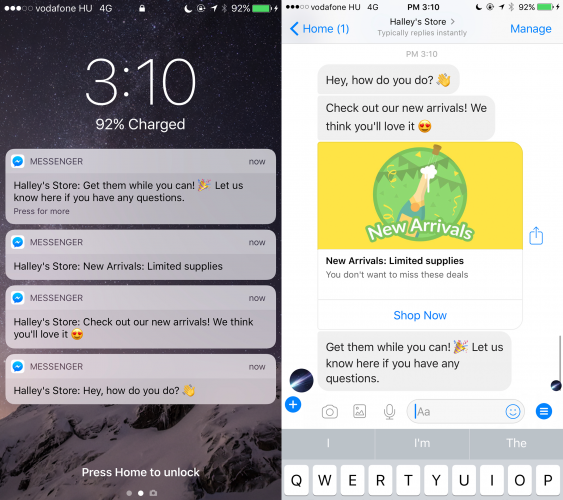 Merchants can keep their customers updated about their order in Messenger. Postponed. Things with higher priority came across, so we decided to postpone our integrations with new popup apps. Done. We just launched one of the most powerful marketing tools for ecommerce. Customers can subscribe to Messenger lists on Wheelio popups – it’s just super-awesome! 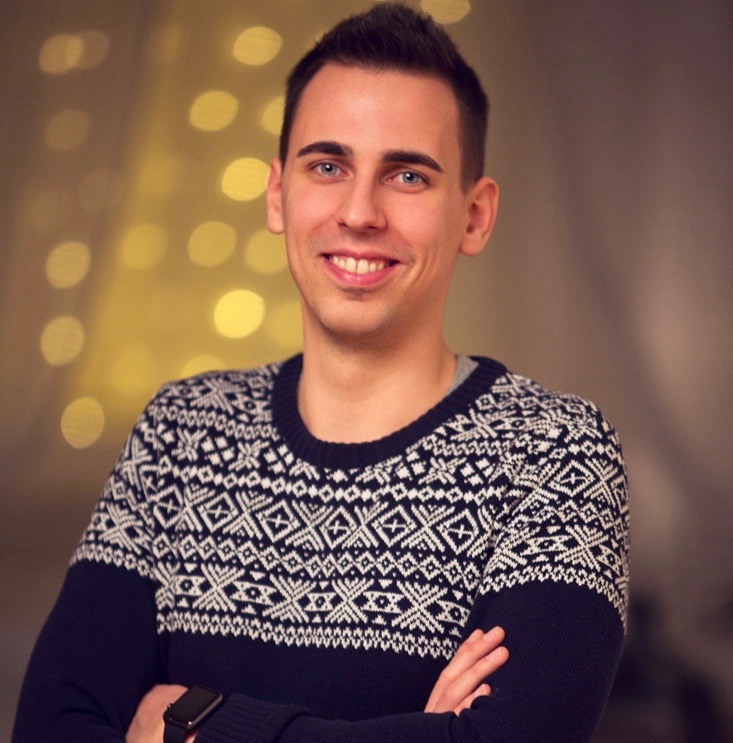 The credit goes to the Wheelio founder Karlo Bradica, he’s an extremely cool guy with insane marketing experience. We’re looking forward working with him on the long run. Done. We reached $50,000 by the end of September. Postponed. I personally made sure that everyone will get a 10-20% raise this year and another next spring, but I’m still working on the details. – We rolled out a few speed and quality improvements. It’s crucial for us to keep the uptime above 99% and show correct stats, aligned with other analytics like Shopify and Google Analytics. – We started to improve our Messenger widget. Very soon, the widget will place itself into the store, so the merchants don’t need to do it manually. We’re especially happy about our revenue growth and increasing cushion of funds in the bank. While in terms of churn we’re not quite efficient, most of the cancellations are inevitable due to Shopify’s high churn. Most of the paying customers who abandoned us – abandoned the Shopify platform itself. We received 1,550 new messages in September, compared to 990 in August. That’s a huge lift. We hardly can keep up with the number of conversations; our median response time went rogue from 4 hours to 8 hours. What’s gonna happen in October? Firstly, we’ll face a huge issue. Facebook updated it’s Checkbox plugin on October 6th, making our Recart Messenger Widget powerless for new merchants. Facebook doesn’t let new clients display their checkbox pre-checked. This affects only the new merchants implementing the Messenger Widget after October 6. The Add to Cart to Messenger subscriber conversion rate dropped to 2% from 45%. This calls for a pivot regarding Messenger subscription. We must find a way to restore our conversion rates. Probably, it won’t be 45% anymore, but we’ll find the best possible solution and release it this month. We grow insanely fast. As we started this growth in July, we started to suffer from various uptime, infrastructure, feature, and UX issues. These issues started to affect our credibility and our merchant’s performance. This is something we haven’t prepared for. This month we will. We’re going to restore our uptime to 99.9% and make sure that all our features and solutions are bug-free and completely ready for the Black Friday. This improvement will take a considerable part of our October. Some of the features have to be delayed, but we firmly believe we must provide a reliable service before releasing new features. 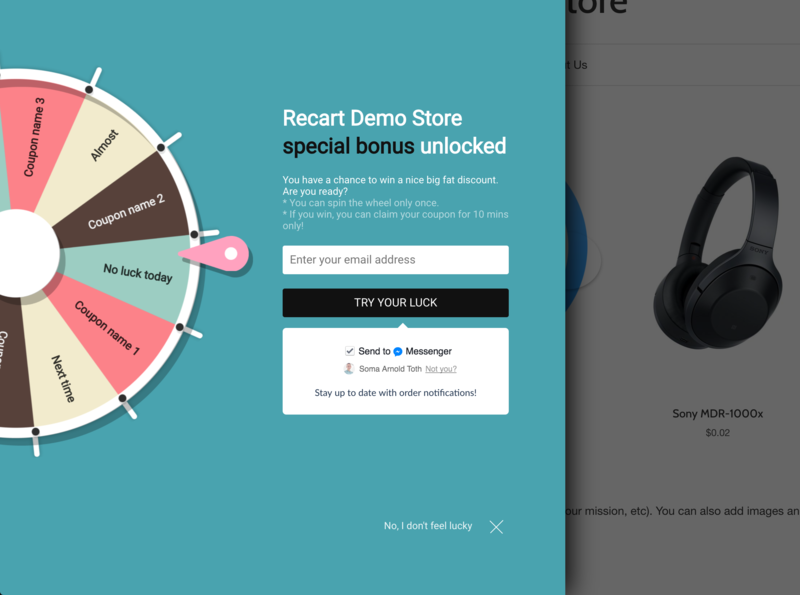 We’ll roll out our new Recart Messenger Widget, which will place the merchants’ widget automatically under their add to cart button. No more code snippet copypasting. We’ll release some new stuff for the Messenger campaigns. We’ll add things to Abandoned Cart Campaign and the Instant Messenger Campaigns. We’ll introduce a new and even more powerful Messenger integration with Wheelio. Stay tuned; this is going to be a huge hit! We’re looking forward to having our next two Customer Success Heroes on board and keep up the growth. In the mid-term run, we continue to become one of the biggest e-commerce marketing apps and prepare for the first funding round. Our office’s atmosphere is insane nowadays. The entire team is thrilled to see this growth and success. We’ve worked on this extremely hard and we won’t stop; we’ll work even harder to become a serious player amongst the world’s best e-commerce tools.